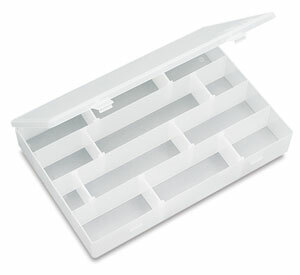 For organizing and protecting small items. Boxes are shatterproof, translucent, can be customized with movable dividers (ordered separately) that adjust in 1/16" increments. Large and small sizes fit anywhere. ® ArtBin is a registered trademark of the Flambeau Products Corporation.